Only part of our content is available in the language you selected. See what content is available in Slovenčina. The challenges of the 21st century require new approaches to learning for work. Vocational education and training (VET) in Europe is evolving, but we need a clearer vision of what modern VET systems should look like. This was the central message of Cedefop Director James Calleja’s* presentation to the European Parliament’s Employment and Social Affairs committee, in Brussels today. Mr Calleja stressed that it is for Member States to decide the features of their modern VET systems. However, European cooperation has had a strong and positive influence in this area. Debating, agreeing and translating those features into a shared vision of what modern VET systems should look like may help to focus and uphold VET reform during a difficult period following the economic crisis when resources are limited and tough decisions needed. 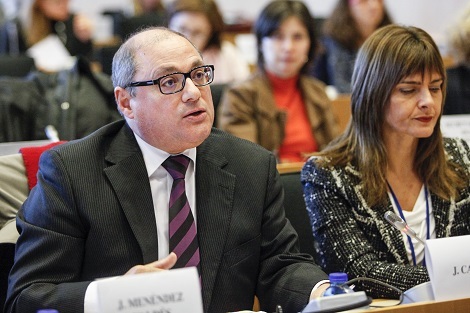 * Cedefop Director James Calleja is available for interviews on the occasion of the agency’s 40th anniversary. Please contact the Press Office. Cedefop’s Founding Regulation was published on 10 February 1975. The agency’s first home was in West Berlin, West Germany. Cedefop was set up with the aim to assist the [European] Commission in encouraging, at Community level, the promotion and development of vocational training and of in-service training. In 1995, Cedefop moved from Berlin to its current base in Thessaloniki.